Raids on business houses are reminiscent of VP Singh’s ill-advised clean-up bids. Is there a method behind the madness in the Modi era? In 1985, as a reporter of the Times of India, I got a chance to attend a lecture by one of the greatest legal minds of our times, Nani Palkhivala, at a function organised by an industries body in Kanpur. In those days, VP Singh, as finance minister, was on a campaign to unearth black money and had launched a series of probes and raids against numerous leading corporate houses. Even the most respected corporate groups and their owners, irrespective of their age, were hauled over the coals in a frenzied manner by income-tax sleuths and officials of the enforcement directorate (ED), directorate of revenue intelligence (DRI) and customs. The finance minister was as if on a hunt for prey who were cornered by his troops – to the media’s drumbeating. In those maddening times, Palkhivala stood out as a lone voice that rubbished the finance ministry’s frenetic doings and called the campaign an immoral witch-hunt which would have far-reaching and deleterious consequences. He questioned the need to knock the door of a highly respected and old industrialist like SL Kirloskar in the midnight and holding him to ransom the whole night as if he were some petty criminal. “What exactly are you trying to convey?” Palkhivala had asked. Palkhivala’s logic and arguments left no doubt about the futility of VP Singh’s endeavours. Yet VP Singh’s drum-beaters, including the mainstream media, continued the hunt and created a scare in India Inc. till Rajiv Gandhi cut his wings and shifted him from finance to defence. By then, however, the damage was done. VP Singh came to don the mantle of a leader who would be satisfied with nothing less than changing the whole system. He was seen as anti-rich, a credential powerful enough to endear him to the toiling masses. Making good use of this newly acquired image, VP Singh parted company with the Congress and forged a coalition against Rajiv Gandhi who had meanwhile got embroiled in a series of payoff controversies in defence deals. His victory in the Lok Sabha elections of 1989 gave us a short-lived government as the erstwhile Raja of Manda proved to be only too clever by half. Much of his talk of probity in public life turned out to be hogwash when he took over as the prime minister. But the country paid a heavy price – on the political, social as well as economic fronts – as VP Singh came to occupy the centre-stage. Indeed, his becoming PM was an extraordinary event that put India on a nearly irreversible path of political instability, chaos and moral turpitude. It also hurt the economy, to the point of India having to mortgage the family silver, till PV Narasimha Rao was forced to effect reforms. People expected VP Singh to walk the talk. He instead failed to honour his promises and pushed the country into a chaos. As for political stability, 30 years after Rajiv Gandhi’s election as prime minister in 1984, Narendra Modi became the first prime minister whose party, the BJP, had a clear majority to run the country. In terms of mandate, he is unequivocally the tallest leader of recent times. 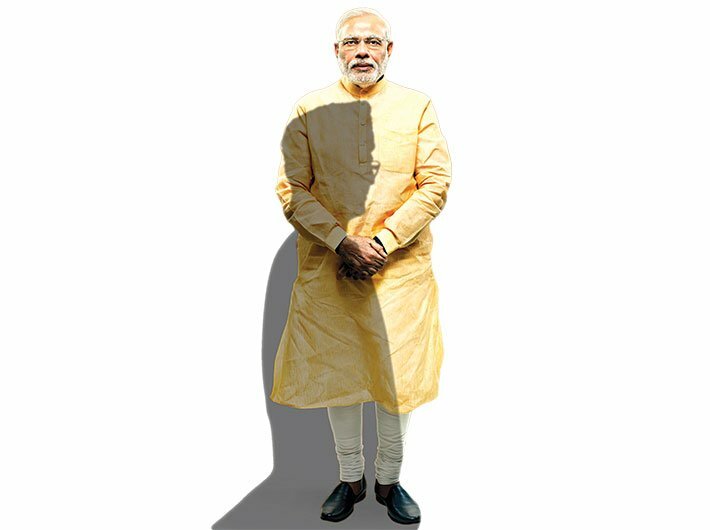 However, towards the fag end of his tenure, there are eerie similarities emerging between the Rajiv era and Modi’s fourth year in the government. The only difference is a conspicuous absence of a leader like VP Singh. The latest similarity is sleuths being unleashed on businessmen, with various law enforcement agencies working at cross-purposes to outdo each other. The way the CBI and the ED have been pursuing the cases of alleged irregularities in banking and finance involving corporate houses clearly smacks of a deep-seated conspiracy not only to unsettle the government but also to create a colossal economic disorder by paralysing the banking system. It is bound to create a scare and distrust for corporates among people. If one looks at the manner in which these so-called scams are handled, it appears more like a witch-hunt than pursuing any real objective of correcting the financial system. It is quite instructive to note here that at the initial stage of investigation of Vijay Mallya’s bank dealings, the CBI and the ED were not on the same page. Quite strangely, the CBI’s assessment was that Mallya’s case did not fall into the category of fraud as he had merely taken loans and defaulted on repayment. The critical perusal of his financial transactions did not indicate any diversion of funds. “It was a case of default, not fraud,” says an investigating officer. However, the ED insisted on filing a case of diversion of funds. Later, the CBI changed the investigators and fell in line to frame Mallya’s case as a fraud. It is nobody’s argument that Mallya’s case should not be probed. But are we not missing the woods for the trees? Mallya’s case belonged to the genre of an outrageous profligacy indulged in by a group of bankers, politicians and corporate houses. The real question is: How did Mallya secure loans when there were clear signs of his civil aviation business failing? The answer lies in the conduct of those manning the finance ministry in those days – the illustrious Pranab Mukherjee and P Chidambaram. There are certain instances that need to be highlighted to understand the manner in which the finance ministry was run under the stewardship of Mukherjee and Chidambaram. A Bihar-cadre IAS officer posted as joint secretary in the department of financial services, Amitabh Verma, became so influential that once Mallya created a stir in Patna by flying in his private jet from Bangalore to meet him in the early years of UPA 1 with Chidambaram as FM. “We thought he had come to meet the chief minister,” said a local officer who came to know about Mallya’s presence in Patna. Mallya drove straight to Verma’s residence to meet him and flew back in his flamboyant style. Verma was not alone in displaying this kind of disproportionate clout with business leaders. A woman officer considered very influential in Mukherjee’s office held the same clout when Mukherjee was the FM. There is enough evidence to prove that banks were arm-twisted into giving loans to a group of profligate corporate houses irrespective of their financial conditions. The result was obvious: debtors continued to default on loans. L’affaire Sahara is another example of how authorities and institutions – in this case, Sebi and the supreme court – hound business houses and in the process grind business to a halt while we continue to wait for justice. The fact remains that no criminal case has been made out against the group or its chief so far. Yet the Sahara chief was even put in jail – with the inadvertent effect that he continued with his affluent lifestyle in Tihar jail, subverting the prison system too. The sum total of what has been achieved is that the talking class has got an impression that the high and mighty are not spared, and the egos of the institutions are placated. Nirav Modi, for a change, was not wrong when he accused the Punjab National Bank of ruining his business by going public “prematurely”, terming his “genuine banking transactions” as fraud and putting him in a situation where it would be impossible to repay the loan. Of course, it is completely unbelievable that an officer of the rank of deputy manager could bypass all checks and balances and single-handedly defraud the bank to the tune of Rs 11,400 crore. By all indications, the letters of undertaking (LoUs) were issued only after complying with the formalities and it would be next to impossible to prove illegality in the transaction. What needs to be probed is the eligibility of Nirav Modi to secure LoUs of such a large amount at a breakneck speed. It is equally unbelievable that a junior officer would issue LoUs of huge amounts to a diamond dealer without the concurrence of those managing the country’s finances, including regulators like Reserve Bank of India (RBI). Ironically, in all such cases the RBI and the department of financial services (banking) under the finance ministry, maintain a deafening silence as if what is happening is not under their jurisdiction. What is baffling is the overenthusiastic role played by the CBI and the ED which are hardly equipped to decipher the fine print in financial transactions – more so, when the world of global finance is becoming more esoteric by the day. “I understand that the CBI or ED can look into criminal aspects of it but it would be absurd to expect the CBI to ascertain the eligibility criteria of a loan,” says a senior government official. The overenthusiasm displayed by the CBI, ED and the media has created a scare in the banking industry which was already battling record levels of NPAs. Of late, the CBI has been overburdened with requests for taking up probes of what are patently cases of “bad and immoral banking” and not frauds, sometimes involving transactions worth no more than Rs 4 crore. Anybody with a fair understanding of governance would confirm that it would be a wrong choice to leave regeneration of morality and ethical values in the financial system to the police, particularly to the CBI. It has to come from the top political establishment and regulators. In the latest case, the CBI has rushed to draw conclusions about huge loans to Vikram Kothari, an influential Kanpur-based industrialist whose firm manufactures Rotomac pens. There is prima-facie evidence which indicate that Kothari was given huge loans by the bankers caring two hoots about prudence and norms. Once again it reflects the failure of internal and external regulators to check profligacy of a coterie of bankers and industrialists. But it would be rather naïve to treat this as a criminal case just to satiate a group of people’s unconscionable conscience. On the whole, in cases of loan repayment difficulties, instead of helping out the business houses, the attitude of the agencies has been to go after them with all guns blazing and put them behind bars – which neither delivers justice nor gets the money back but only serves to create the impression of meting out punishment. And the ‘raid raj’ is not limited to the corporate houses. After demonetisation, the income-tax department with unusual enthusiasm launched a drive to plug tax evasion, sending out tax notices in large numbers. That has increased not only the tax revenues but also extortion rackets on the side. The atmosphere of scare, distrust and anti-rich feeling is very much reminiscent of VP Singh’s North Block years, especially 1986-87. Governance is in disarray as banking – the lynchpin of India’s economy – has been passing through a phase of serious credibility crisis. Strangely enough, internal institutions of the government have been collaborating with conspirators to exacerbate the situation. The similarities between two time-frames, three decades apart, are startling. Rajiv Gandhi had arrived on the scene with the image of Mr Clean. He would have nothing to do with the old power coteries left by his mother and he picked up rank outsiders who had little patience for politics and were focused on task and results. There was a whiff of fresh air, and people had started believing that deep systemic changes are underway. But by the fourth year, the things were back to usual as the vested interests of various institutions stuck back, and Rajiv realised he had no grip on the situation. Modi, too, arrived in Delhi as an outsider and a Mr Clean who was going to undo the damage done by long years of ‘Chalta Hai’ attitude, the status-quoist politics. He too relied more on younger, new-age leaders who were more interested in delivering results rather than the old-timers mouthing platitudes. But the four-year itch has caught up with him. His bravado talk of fighting black money has been appropriated by agencies and institutions to their own purposes. Like Rajiv before him, Modi too has to work through the same CBIs and EDs, and runs the risk of getting lost in the labyrinth like the late PM. Notwithstanding the history’s propensity to repeat itself, there are differences too. For one, unlike the Nehru-Gandhi dynasty scion, Modi had a long experience of commanding the administrative machinery and thus of managing its nefarious machinations. Secondly, there is no VP-like persona hovering around – or, is it the case that after starting out the way Rajiv did, Modi is now playing the role of VP himself? To fight the 2019 elections the way VP fought in 1989 – on the anti-rich, anti-graft plank – can make a good political strategy. Count on Modi to once again reinvent himself for a new role. Masses are only too happy to see the comeuppance of the uber-rich and the family members of some of the richest Indians going behind the bars. As a political strategy, it may be sound even if it will have to contend with a slew of factors, known unknowns. As for economy and governance, India cannot afford to revisit the spot it was in when VP Singh got down.